HomeGOVERNMENTFDA Approved Drugs Kill Far More Americans Yearly Than Guns & Cars Combined! None of what you are about to read is new, and the saddest part of all this is the stark ignorance the general public has with relation to this topic. What if you were told well over one hundred thousand people die every single year from drugs? Most people wouldn’t be surprised, or bat an eyelash at this statement. You would probably think, Well, they are druggies who overdosed on illegal drugs, or abused prescription drugs for recreational purposes. Well, the above statement about yearly drug deaths is unfortunately true … but this statement is in reference to the well over one hundred thousand people who die every year from FDA-approved prescription pharmaceutical drugs … prescribed properly by a licensed doctor. This makes these drugs one of the highest ranking killers of Americans on a yearly basis. How is this even possible in a country that spends more on healthcare and its associated government agencies than any other country on this planet … by a huge margin? If well over 100,000 Americans die each year from prescription drugs (the actual number is higher and varies year to year, but we use this number for simplicity of calculation), that is well over twice as many who die in auto related accidents per year (about 40,000). This is also three to four (depending on the year) times more than the number of people who die as a result of gun violence or accidents each year (about 30,000). So where is the government or public concern, or outrage, we see from these auto or gun deaths … ? So are these prescription drugs being abused … or is this indicative of pharmaceutical drugs gone seriously wrong? United States health agencies are funded at a massive and steadily increasing level to protect the health of the American people. Yet it is obviously still not enough to keep you and I safe … by their own admission. This denotes severe ineptitude in the – Request for funds – The use of funds requested – Or a level of complicity that is beyond doubt criminal by any definition of the word. From what we can tell, the Annual budget for the Food and Drug Administration (FDA) is (approximately) … $4,700,000,000 ($4.7 Billion). How is this agency responsible to the American people. 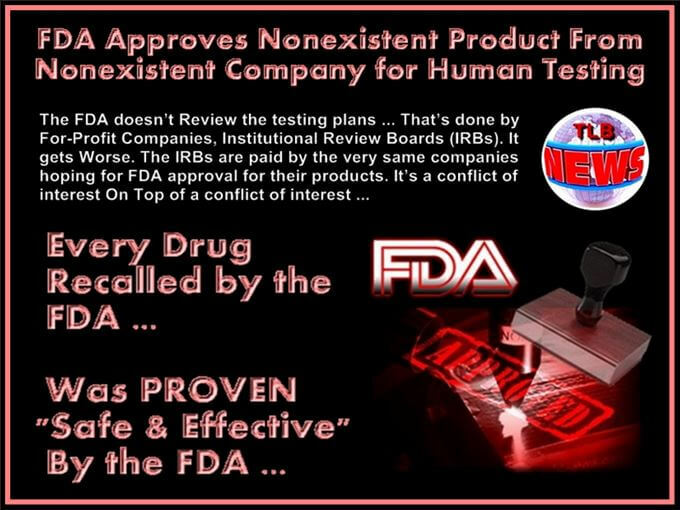 Let’s focus on the FDA’s effectiveness in accomplishing its mandate. If you ever hear that statement, turn and run (don’t walk) to the nearest exit and don’t ever look back! Don’t Take the ‘New Prescription Drugs’ !!! Dr. Timothy Scott goes through the four stages of approving and patenting a drug. He explains how it takes years to complete this process. He explains why stage four is almost always overlooked and never done or completed. He also discusses the ill effects this can have on patients. Clinical trials are conducted in a series of four steps or phases. Each step or phase builds on the results of the phase before it. Phase I trials: Is it safe? In phase I trials, researchers closely monitor the participants and adjust the dose a little at time until they find the amount that works the best with acceptable side effects. This dose is usually the one used for further testing. Phase II trials: Does it work? If a certain percentage of participants benefit from the treatment and the side effects are still acceptable, the new treatment will probably go on to a phase III trial. Phase III trials: Is it better than what we have now? Phase III trials compare the safety and effectiveness of the new treatment to the current standard of care. Phase III trials are usually large (some involve tens of thousands of participants) and are done at many places in the United States and sometimes around the world. A phase III trial is the last step a new treatment goes through before the U.S. Food and Drug Administration considers approving it for general use. Participants are usually randomly assigned to receive the current standard treatment or the new treatment. If possible, the trial is double-blinded, which means neither the researchers nor the participants know who’s getting which treatment. Double-blinded clinical trials help researchers see the actual benefits and side effects of a treatment without bias or outside influence. Results from a randomized, double-blinded trial are considered more credible than results from a trial that isn’t randomized or double-blinded. Just like phase I and phase II trials, phase III trial participants are watched closely to see if any serious side effects develop. Treatment is stopped if side effects appear to be dangerous. Phase IV trials: Are there any other uses or benefits? Phase IV trials usually look at whether the treatment offers benefits or produces long-term side effects that weren’t studied or seen in the phase II or phase III trials. Phase IV trials usually are done after a treatment has been approved for use by the U.S. Food and Drug Administration. Phase IV trials are less common than phase I, II, or III trials and may involve hundreds of thousands of people. For example, one phase IV trial is interested in participation from women diagnosed with breast cancer who are taking an aromatase inhibitor. Aromatase inhibitors are known to cause joint pain and bone loss. This phase IV trial is looking at whether the joint pain some women have while taking an aromatase inhibitor is linked to more defects in their cartilage compared to women not taking an aromatase inhibitor. 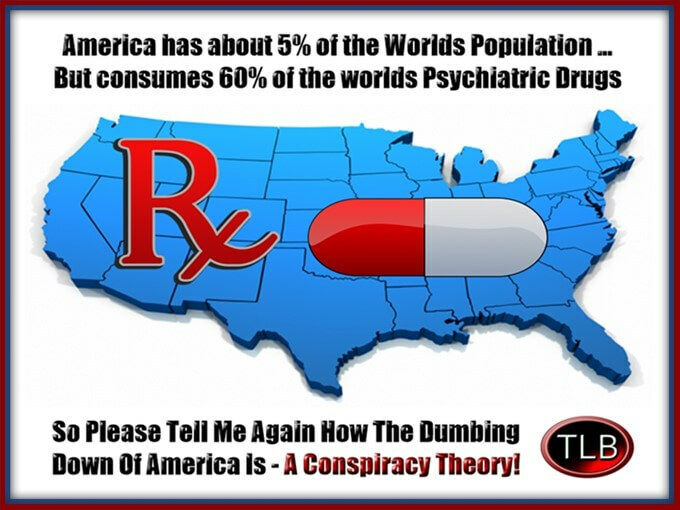 The third highest cause of death in the USA is FDA Approved Prescription Drugs! The name of the fake company was Phake Medical Devices. The names of the principles were April Phuls,Timothy Witless, and Alan Ruse. The company’s location was listed as Chetesville, Arizona. As should be readily apparent to you by now, the system is failing us in a massive way! How many people are harmed or dead over the last 3-4 decades (or longer) if you consider the average deaths per year greatly exceeds 100,000 due to FDA approved prescription drugs. Now try to justify the ineptitude of this government agency mandated with the protection of our health? The questions that must be asked are: Is this nothing but bad management of this agency over generations? Is this a result of tasks too complex for this agency? Or is this (as many of us suspect) the result of Complicity and an ever more enticing revolving door with associated industries? In any case with the number of Americans harmed (many for life), or deaths associated with the products (vaccines and drugs) of the Pharmaceutical industry and their intimate relationship with these “health agencies” (FDA, CDC, USDA) is astronomical and a red flag should be frantically and continuously waving!